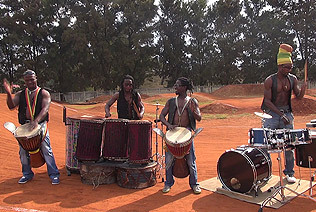 Fusion drumming is the interaction between various drumming styles, traditions and percussion instruments. 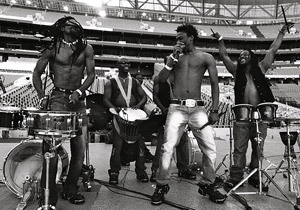 SILVERBLACK are South Africa’s foremost African drum act. SILVERBLACK is an electrifying band that has collaborated with global superstars Shakira and K’naan. SILVERBLACK’s non-stop pumping performances infuse drum African drums, digital sample pads and drum racks. This exciting line up has developed into a fast moving popular act on the local scene and has toured in the USA Japan, China, Europe, and across Africa. 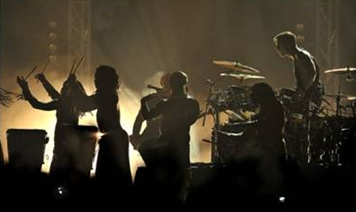 SILVERBLACK have performed on stage with 30 Seconds to Mars. 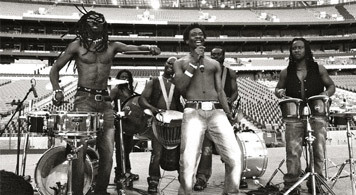 The power band represents entertainment at its highest level, and were chosen to play at the FIFA World Cup. Our performers mix up African drumming and Western precision drumming to create an exciting fusion performance. The African women of the Drum Cafe’s drum, dance and marimba group, Basadi Le Meropa (“Women of the Drums”), deliver a sparkling fusion performance. Expect an original blend of the very best in Western and African musical traditions - rock beats grounded by African djembe drums and traditional marimbas creating trance-like house-music riffs. Basadi provide powerful entertainment for grand openings, launches and media events. The Drum Cafe can add Indian Tabla Drumming and Western Latin American drumming to the mix. We offer anything from a small group to very large groups of powerful male and female performers. Remember to read about the Drum Cafe’s exceptional Customised Drumming, Drumming Groups and Zulu Drumming.